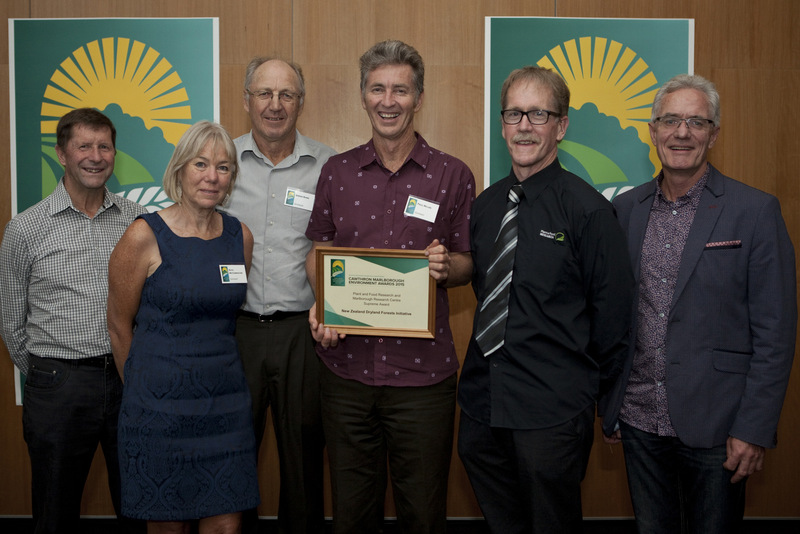 The New Zealand Dryland Initiative Project won the Supreme Award at the 2015 Cawthron Marlborough Environment Awards Dinner on Friday 13 March in Blenheim. NZDFI Project Manager, Paul Millen received the Award on behalf of the NZDFI team. “All those involved see the NZDFI as a project to improve New Zealand’s sustainability. Ours is a shared vision for New Zealand to be a world-leader in breeding ground-durable eucalypts, and to be home to a multimillion dollar sustainable hardwood industry based on eucalypt forests, by 2050. The NZDFI also won the Business Innovation Award, sponsored by local engineering firm, Cuddon Engineering. 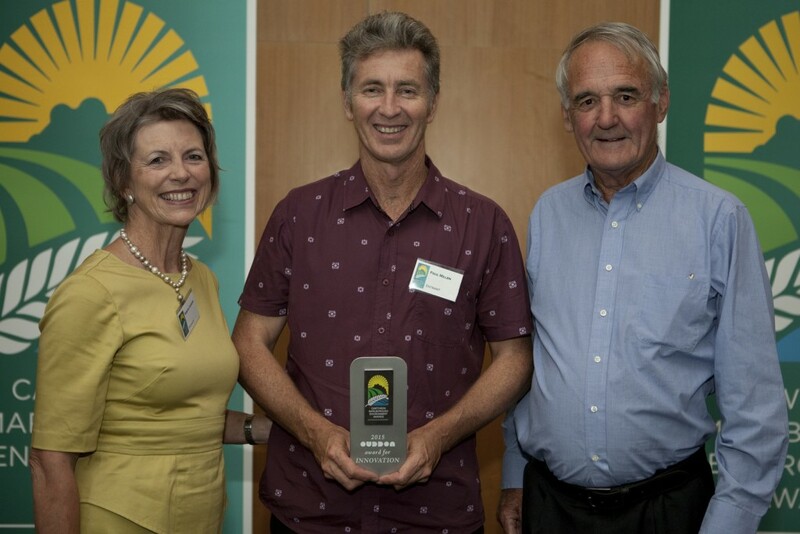 Paul Millen receives the Supreme 2015 Cawthron Marlborough Environment Award. He is pictured with members of the NZDFI team and representatives of Marlborough Research Centre Trust and ‘Plant and Food Research’ who are the Supreme Award sponsors. L to R: Edwin Pitts (MRC Trustee), Ruth McConnochie (NZDFI’s tree breeder), Bernie Rowe MRC Trustee), Paul Millen (NZDFI’s Project Manager), Rob Agnew (Liaison Scientist, Plant and Food) and Gerald Hope (Chief Executive, MRCT). Paul Millen receives the Business Innovation Award from John and Robyn Cuddon, Cuddon Engineering (award sponsors).